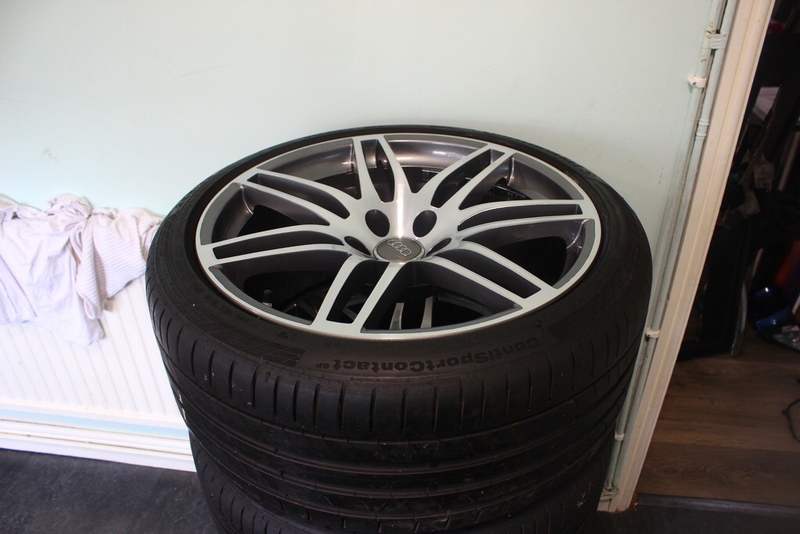 Project B7 420-R: 2012 Seat Exeo ST Sport Tech As Base Car. 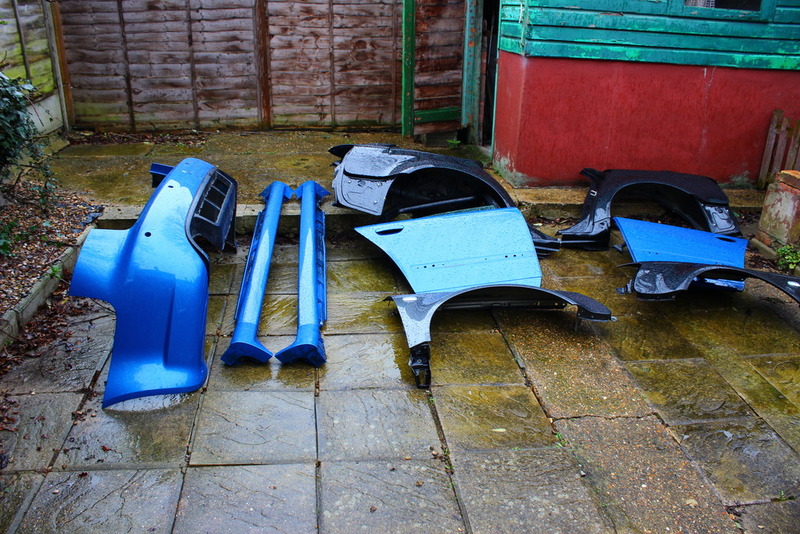 Over the next few weeks, I will be documenting my build. I started in the B6 section, obviously with a B6 Avant Quattro as my base car, but I am now having a change of direction. No, not a Volkswagen Passat B7. I don’t dig the transverse engine layout. 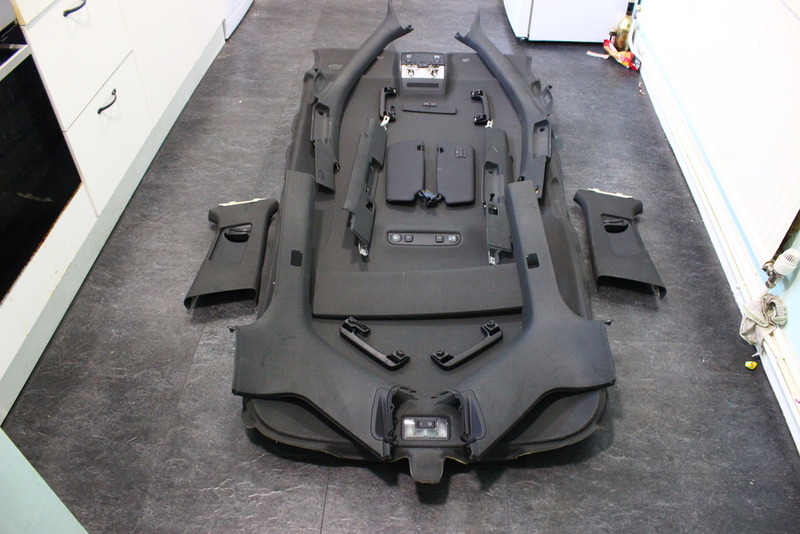 How it came to be regarded as a B7 chassis, I have no idea. 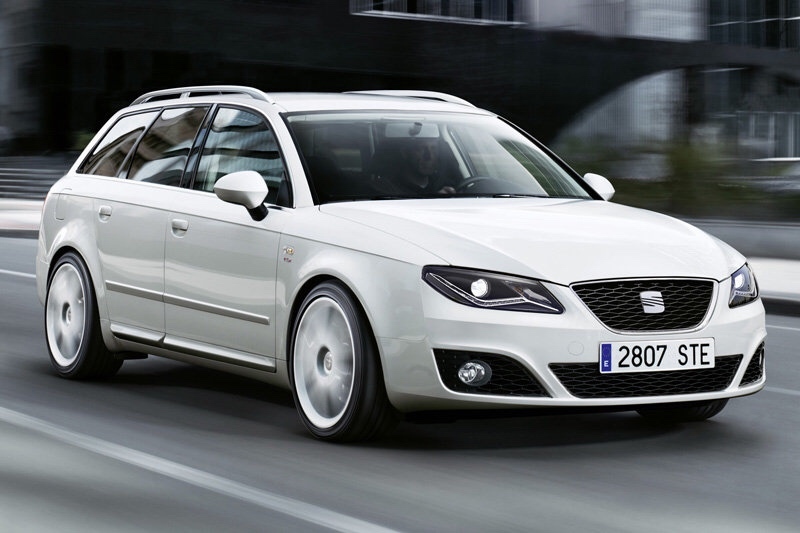 I will be looking at the B7 Seat Exeo ST. For those not in the know, this is the B7 Avant in the Seat range! ST is Seat’s version of Avant. It was built from 2009 - 2014, with some cars registered as late as 2015! What better way to get a new-ish B7? I’m looking at the 2012 MY. And I’m looking at the Sport Tech trim. This has all the toys - BOSE, Xenon headlamps (not that they’ll be staying anyway) and of course, the latest LED RNS-E. It also has leather sport seats, with bolsters much larger and body-hugging than B7 A4 Sport seats. 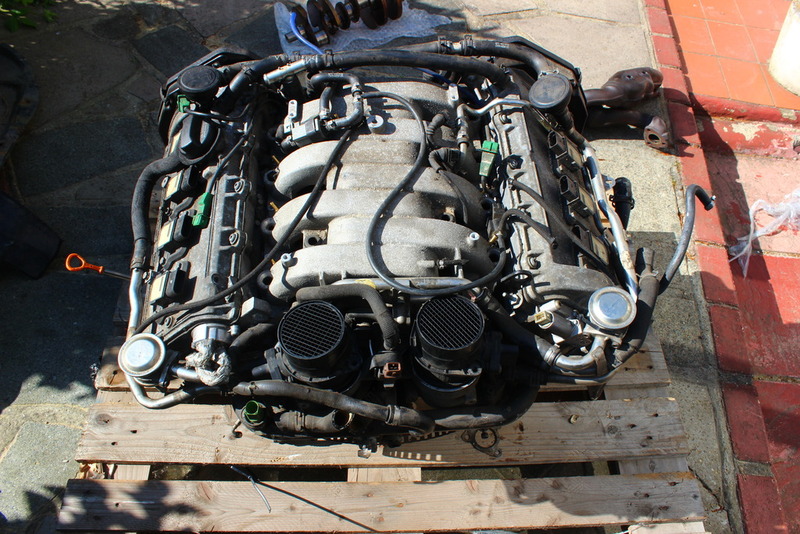 Yes, FWD only, but with the shitload of work I’ll be doing to it, both body and engine / transmission, converting it to Quattro is cake. I have converted a 2004 B6 A4 Sedan, and it was a weekend’s work, all bolt-in. I will be updating this thread as I go on. Some relevant snippets from the B6 project will be posted here. Timelines may be off, as I will be copying and pasting a bit of what’s already been covered elsewhere, but please bear with me. 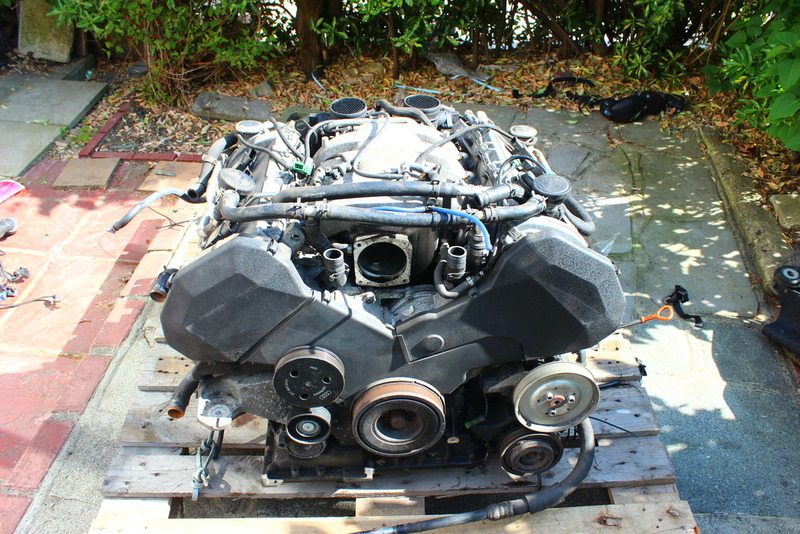 OEM C5 S6 8-bolt crankshaft. 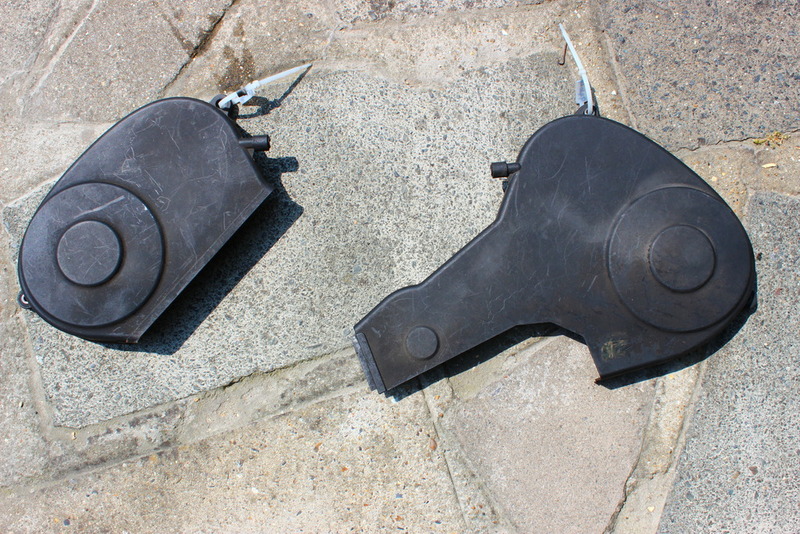 Vibra-Technics aluminium Motorsport engine mounts. 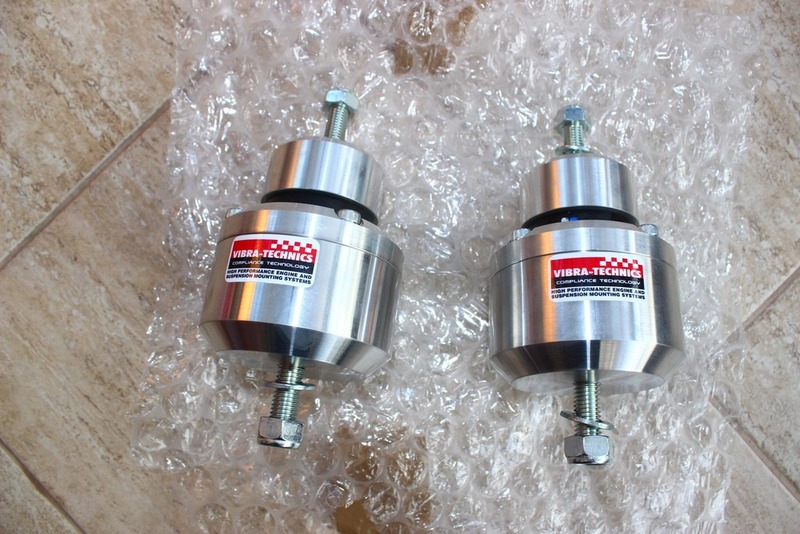 Vibra-Technics aluminium Motorsport transmission mounts. Custom intake plenum, with liquid cooling. 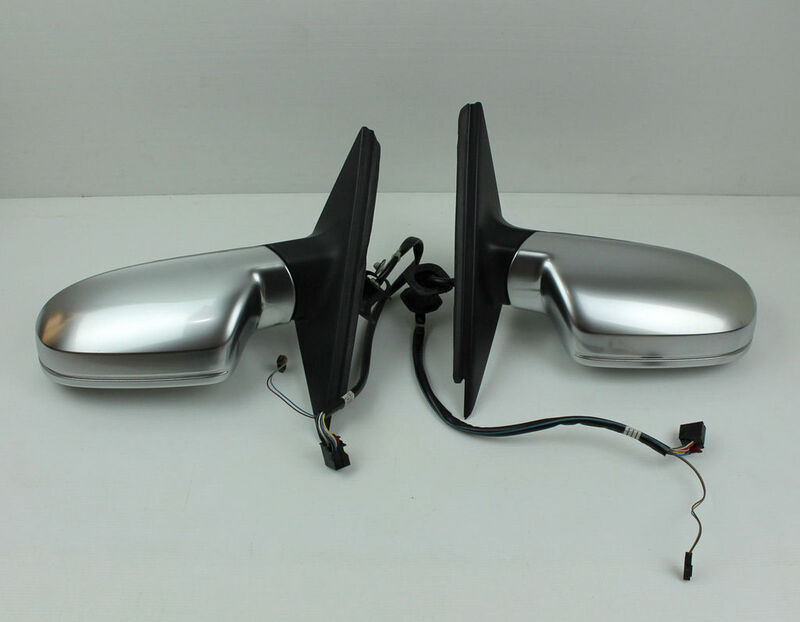 EFR 6758 twins, V-band fitment. 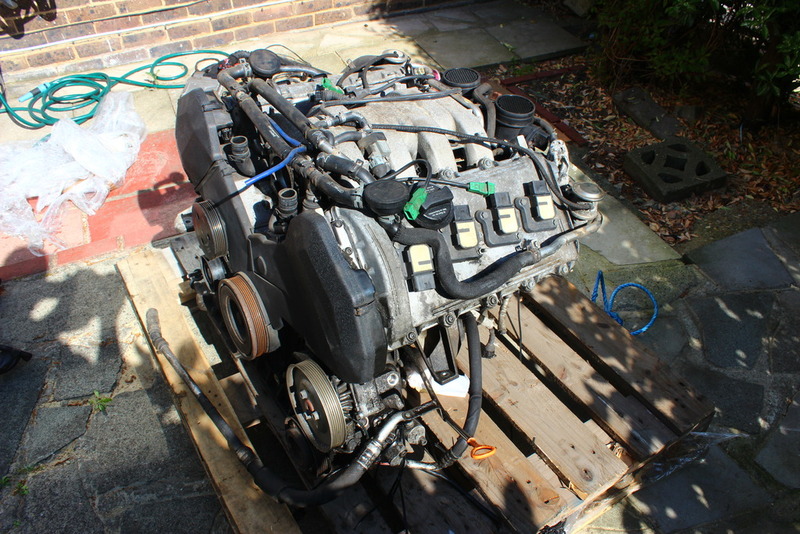 Built 01E 6-speed manual, from 2002 C5 A6 2.5 TDI. Geared to do 37.2 mph / 1000 rpm in 6th. 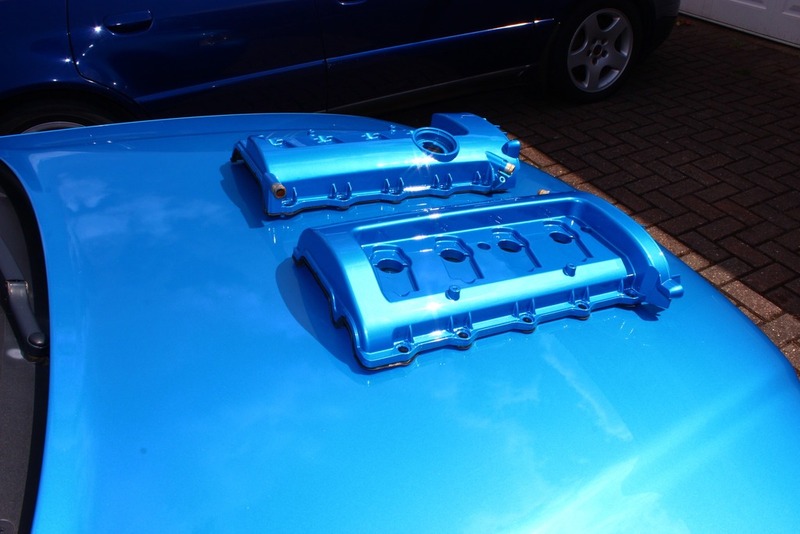 B5 S4 front subframe, with solid aluminium bushings. 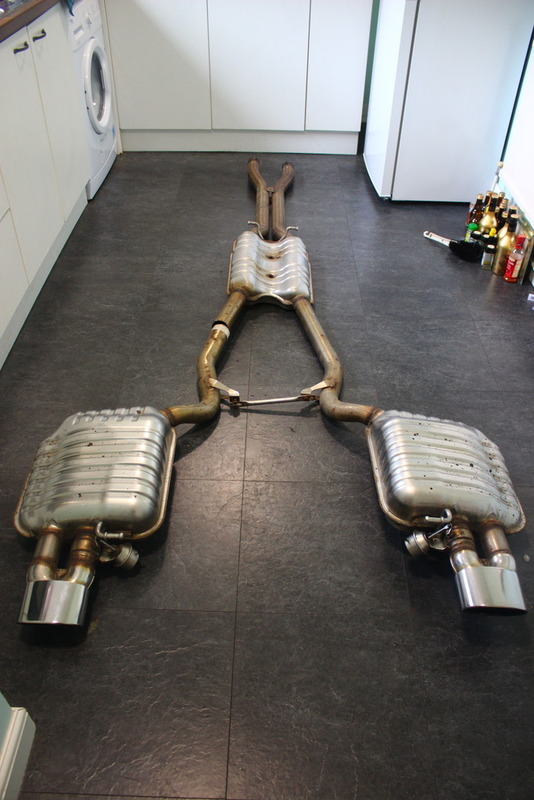 OEM B7 RS4 exhaust, from CAT’s back. 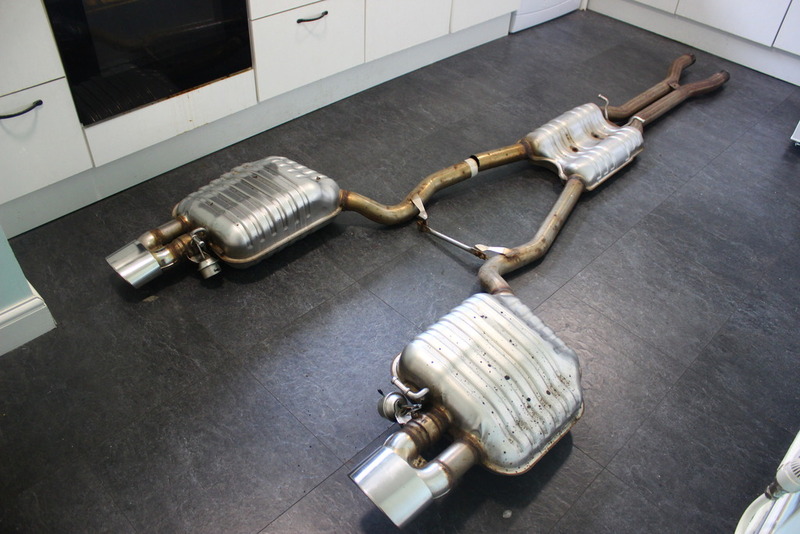 B6 A4 2.5 TDI manual front axles. 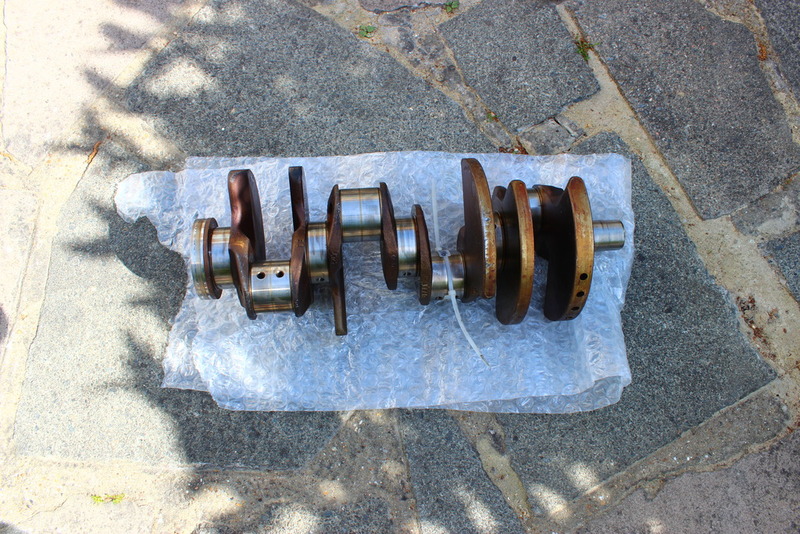 B6 A4 2.5 TDI driveshaft. 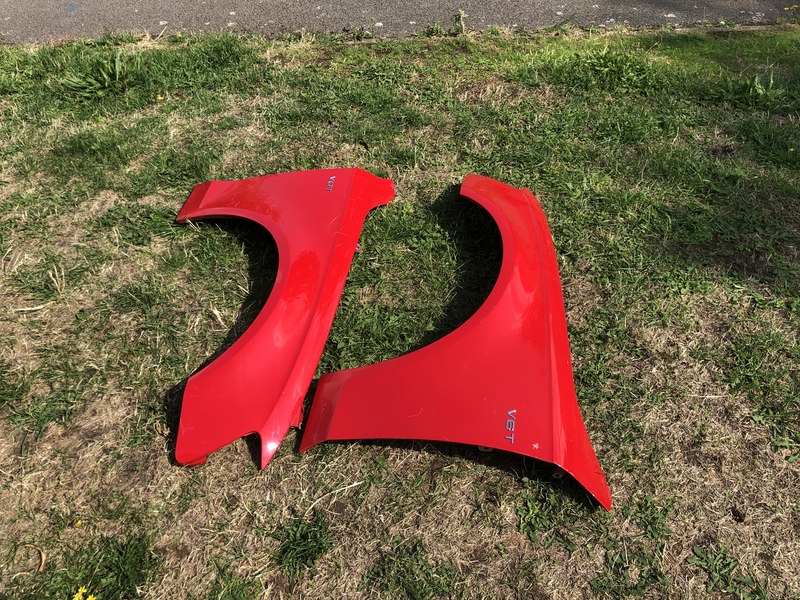 OEM B7 RS4 rear quarter panels. 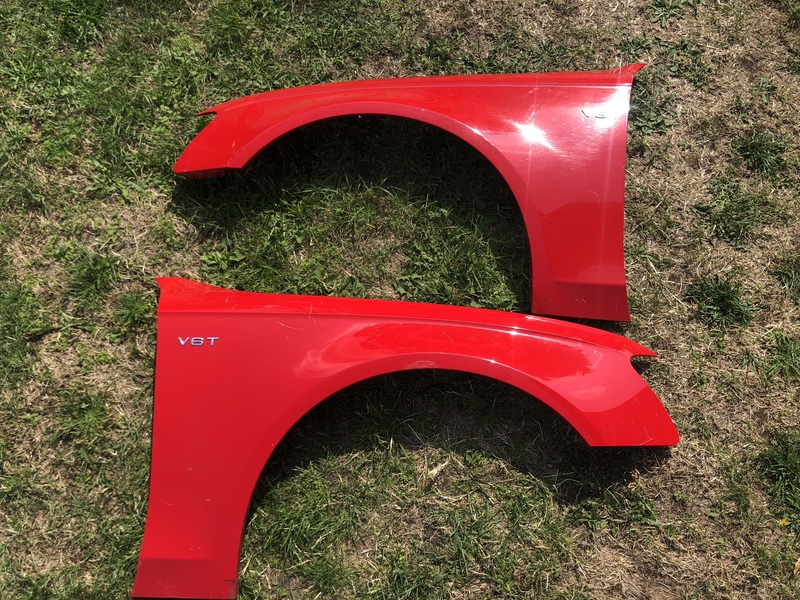 OEM B7 RS4 side skirts. 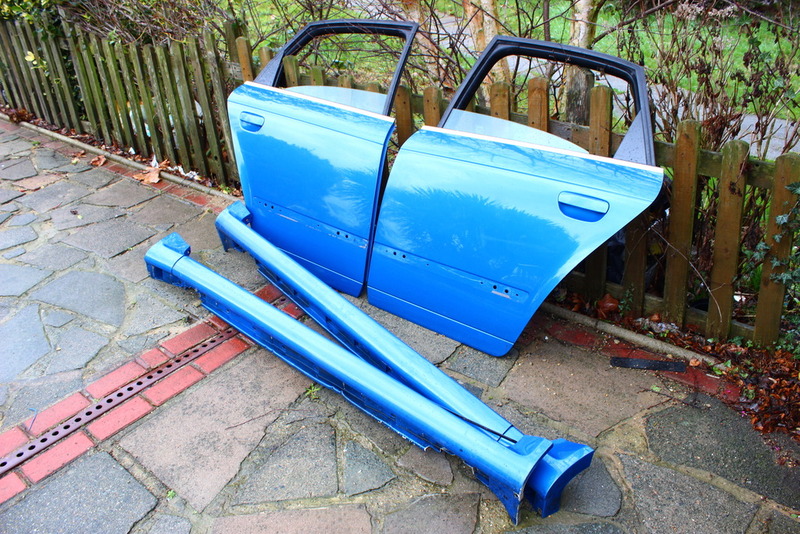 OEM B7 RS4 rear doors. 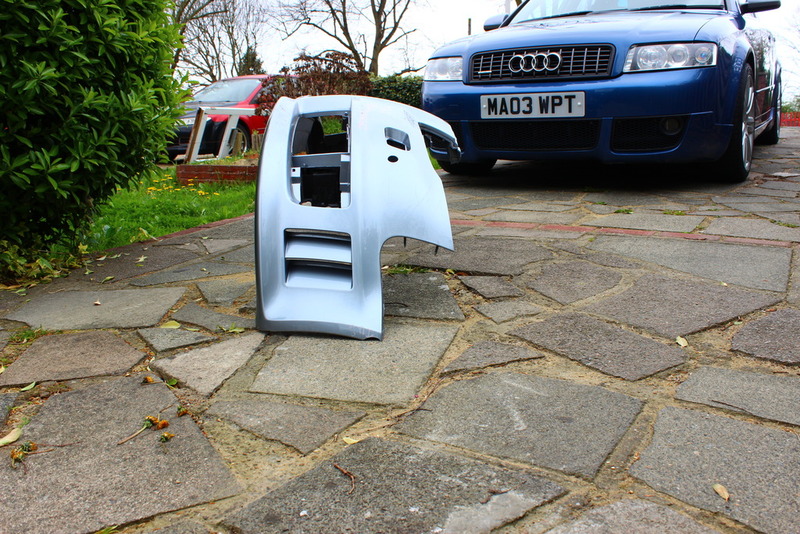 OEM B7 RS4 / B8.5 S4 front fenders. OEM B8.5 S4 lock / radiator carrier. 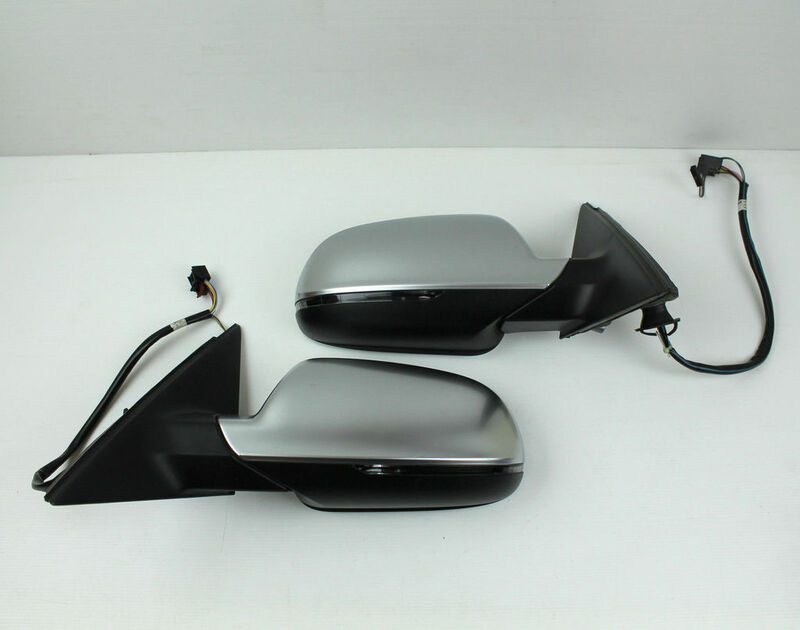 OEM B8.5 S4 BiXenon headlamps. 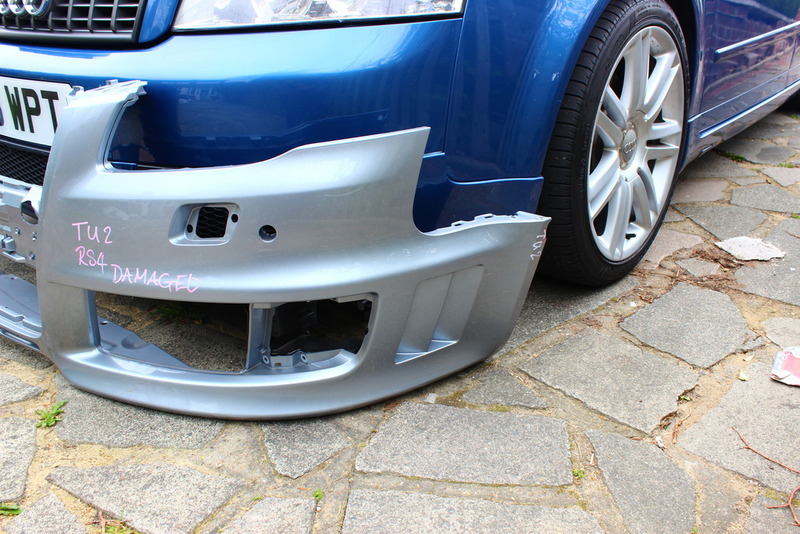 OEM B8.5 RS4 front bumper. 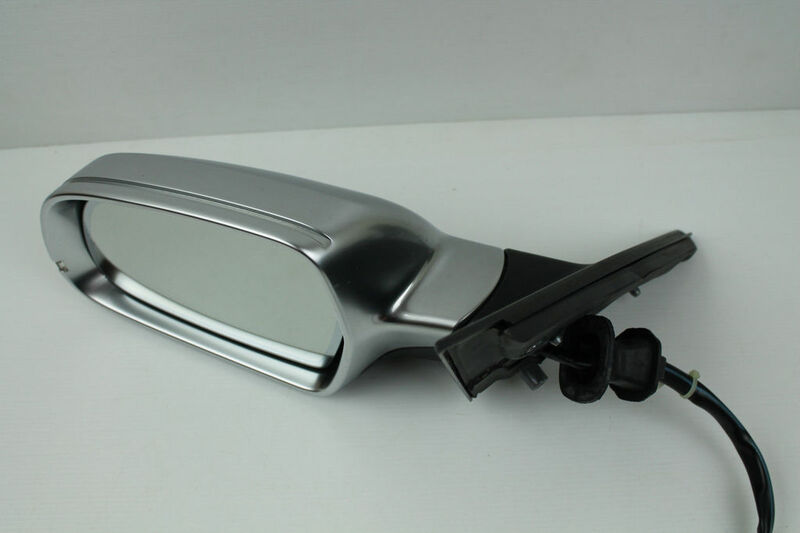 OEM B8.5 S4 aluminium electric folding mirrors. 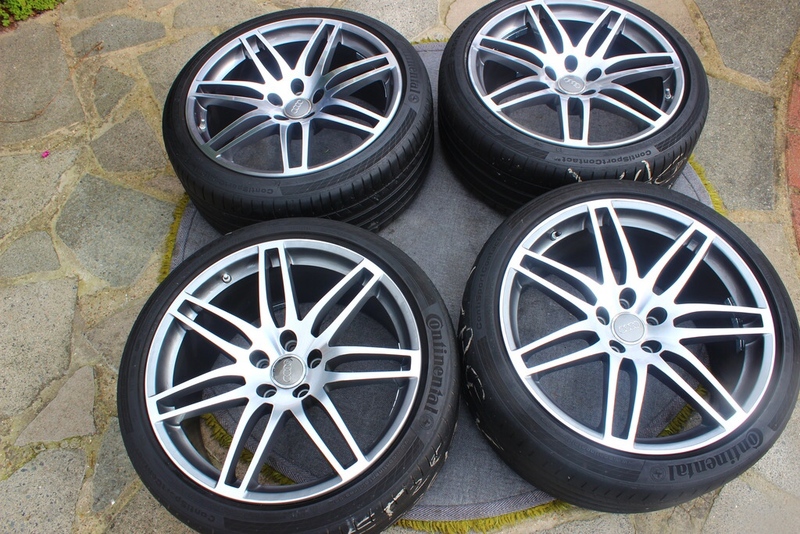 OEM B7 RS4 wheels. I have these, but spec is subject to change (what isn’t)? 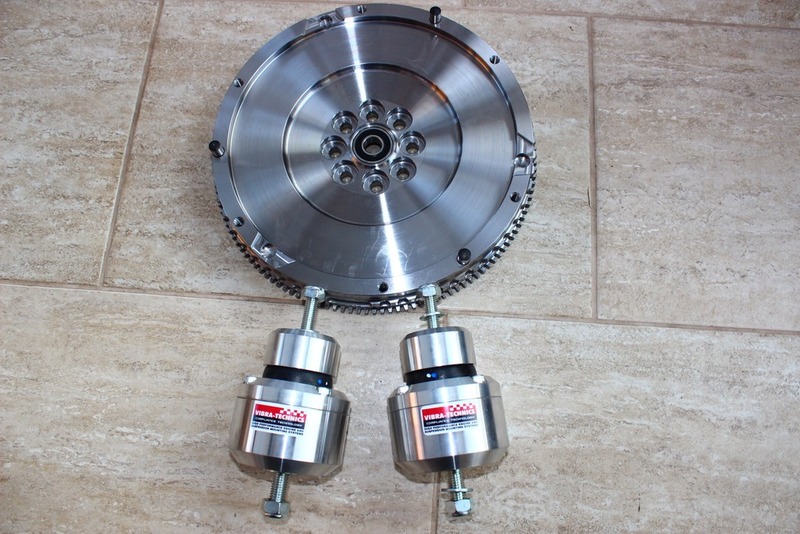 OEM B7 RS4 front spindles. Ohlïns suspension, with remote reservoirs. Spec to be determined after car is built and corner-weighed. OEM Recaro wingbacks, personalised for my car, embossed logo and green stitching. 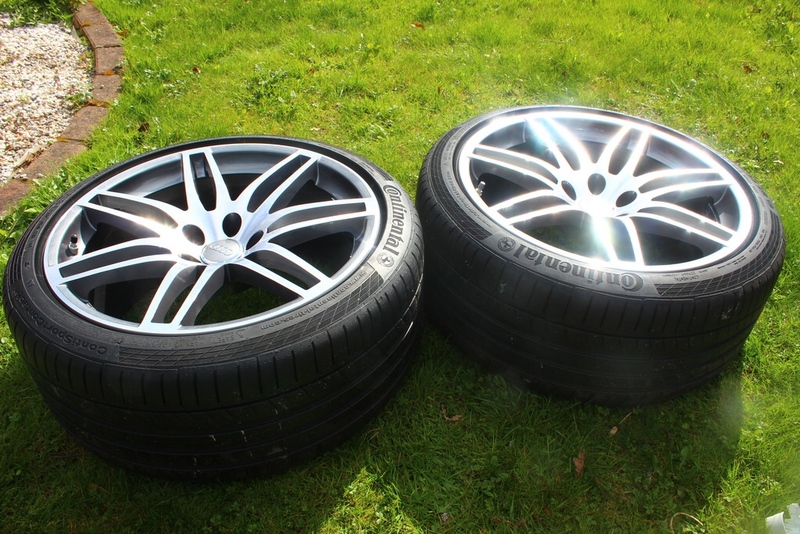 OEM B7 RS4 or stock Seat Exeo sets trimmed to match fronts. OEM TTRS flat-bottomed steering wheel, with green stitching. 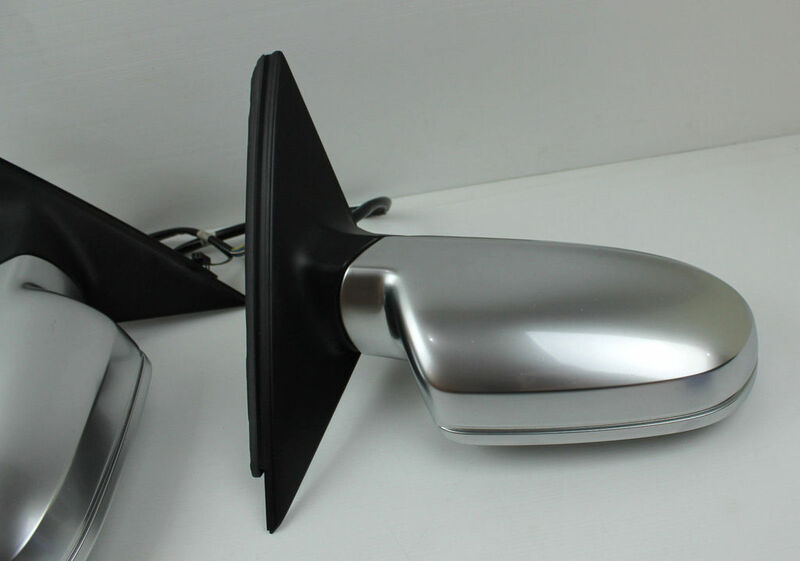 OEM B7 RS4 gear knob and gaiter. Custom Carbon Fibre trim, with green in the weave, to match the Audi Apple Green Metallic exterior paint. 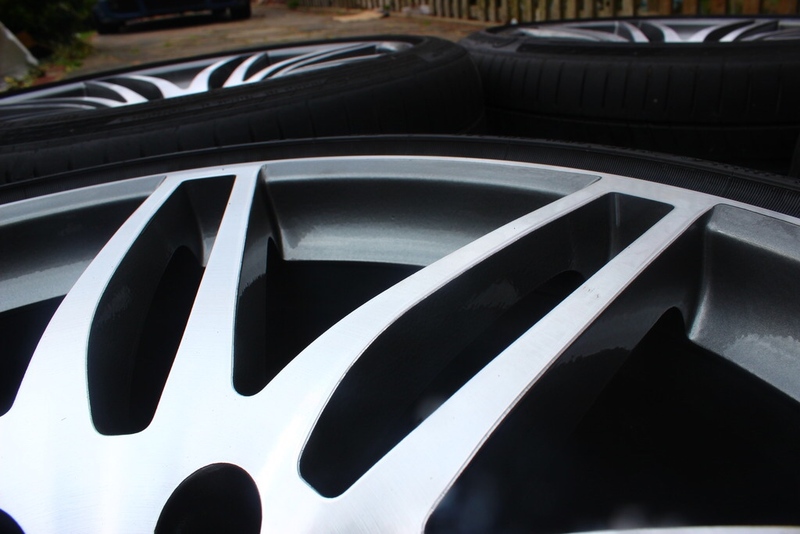 OEM B7 RS4 charcoal headlining and associated pillar trims. OEM B7 RS4 instrument cluster. There’s plenty I haven’t included, which I will update later. 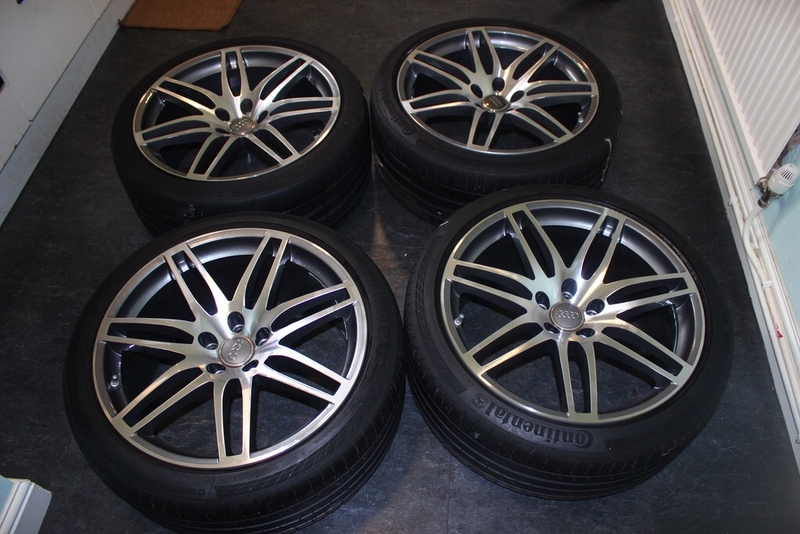 I will also be selling off a lot of parts I purchased when the project car was B6-based. I will also be parting out my Denim Blue car. 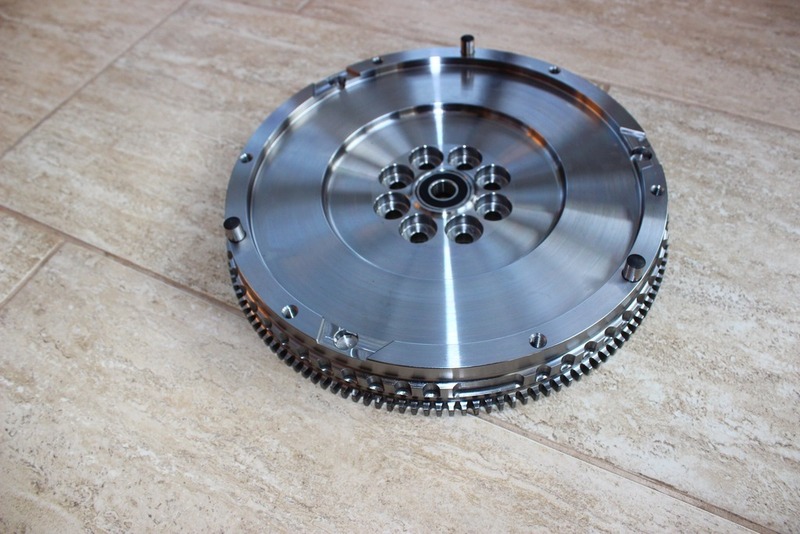 Obviously, the Quattro drivetrain sans 02X transmission will be retained. 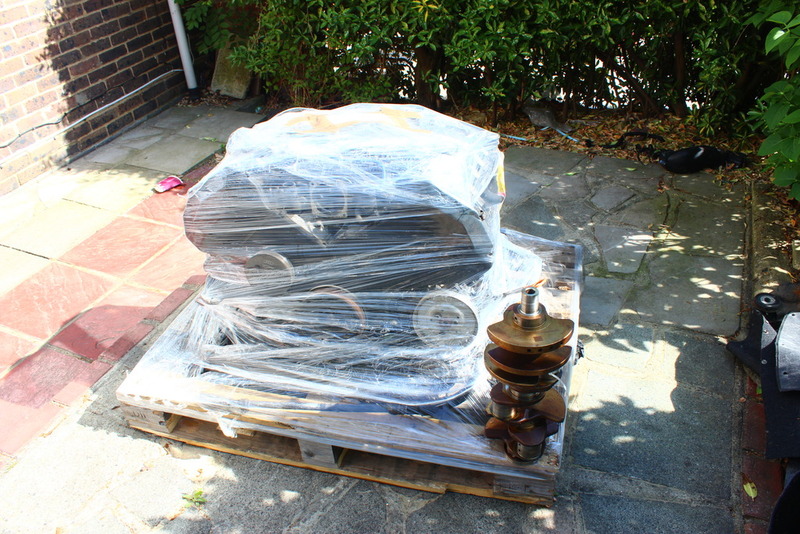 The rear subframe will be removed and inspected. If it is rusty, it’ll be tossed in favour of a replacement. 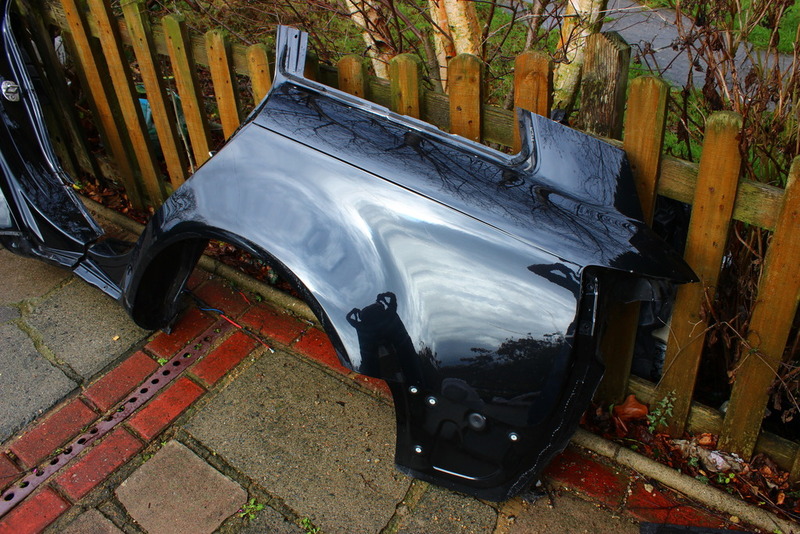 Otherwise, it’ll be sand-blasted, treated against future corrosion, then painted in the original satin black, and fitted with solid aluminium bushings. Just a bit to do then. 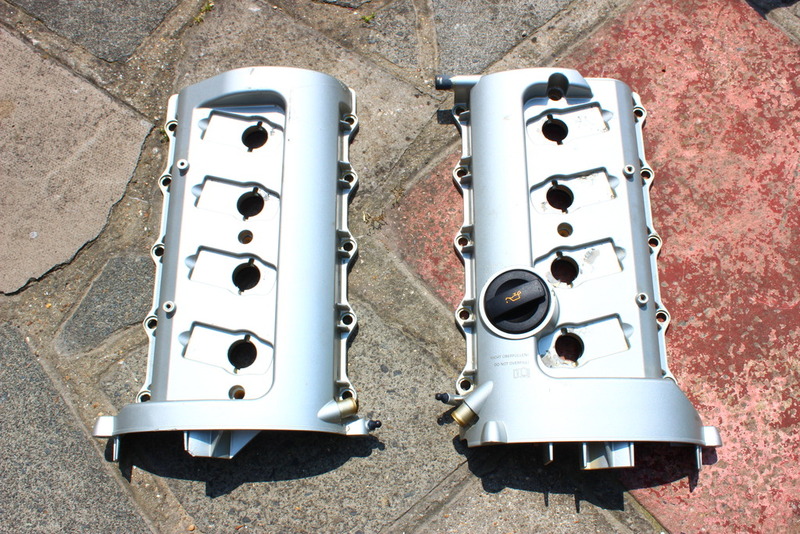 Most older-generation Audi engines had rough valve covers. Not much was done to make them look pretty, as they were covered in tons of plastic. The C5 RS6 was no exception. 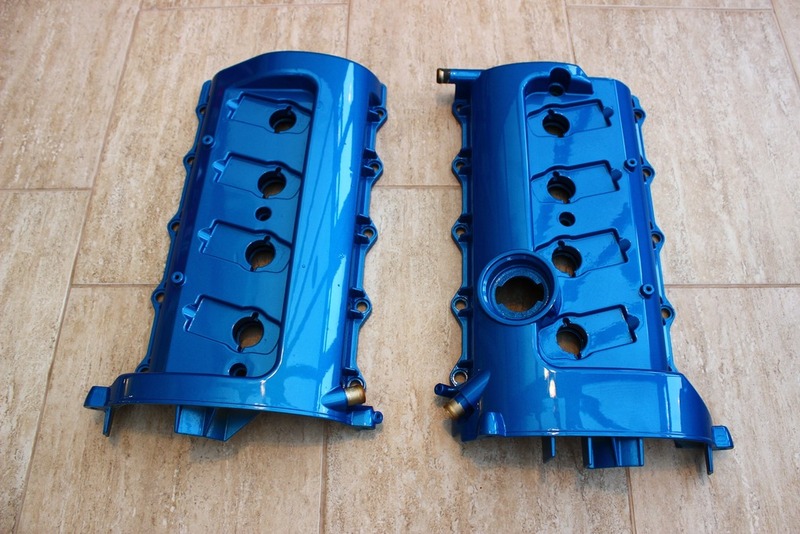 Stock C5 RS6 valve covers. Urgh! 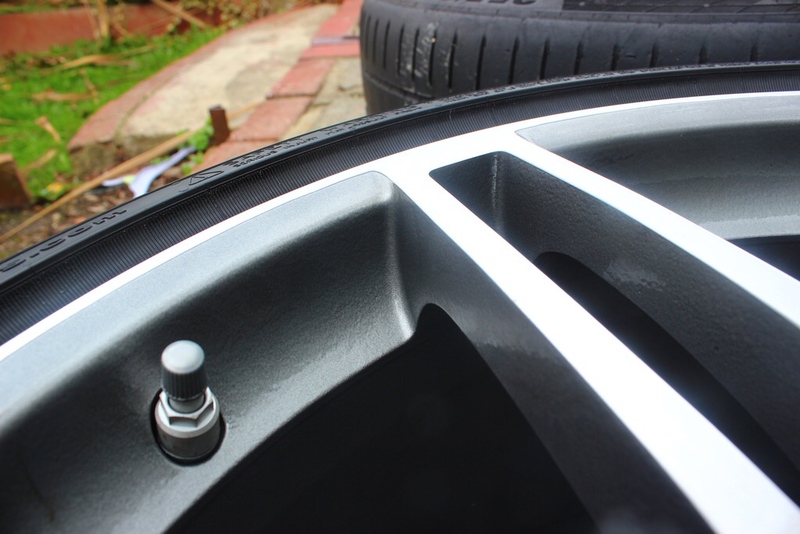 My aim with the motor, is to go stage 3 from the onset. Since it’s out of the car, and I’m doing a rebuild, it makes perfect sense. 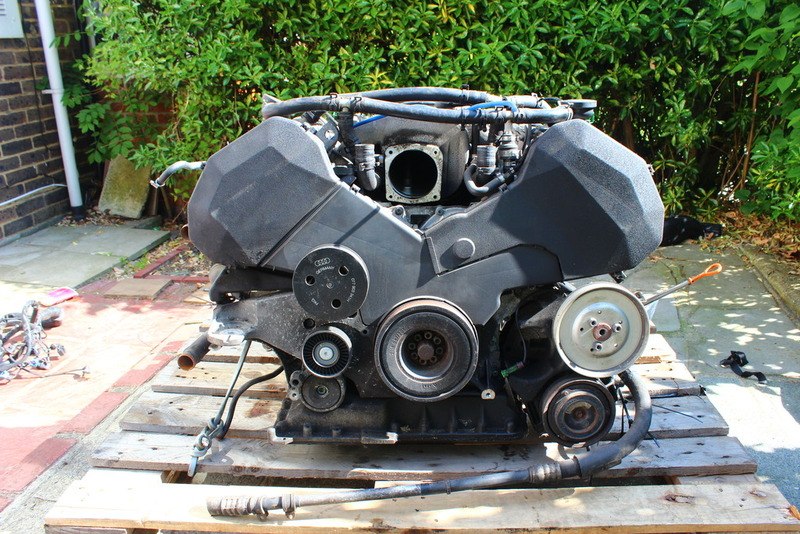 I am building it to support 850hp. I may end up with 700hp instead. Who knows? But I at least want the option of a higher “ceiling” so if I decide to push the envelope further, at least I can. My choice of engine mounts has always been Vibra-Technics. They are a British firm, so little known outside the EU. 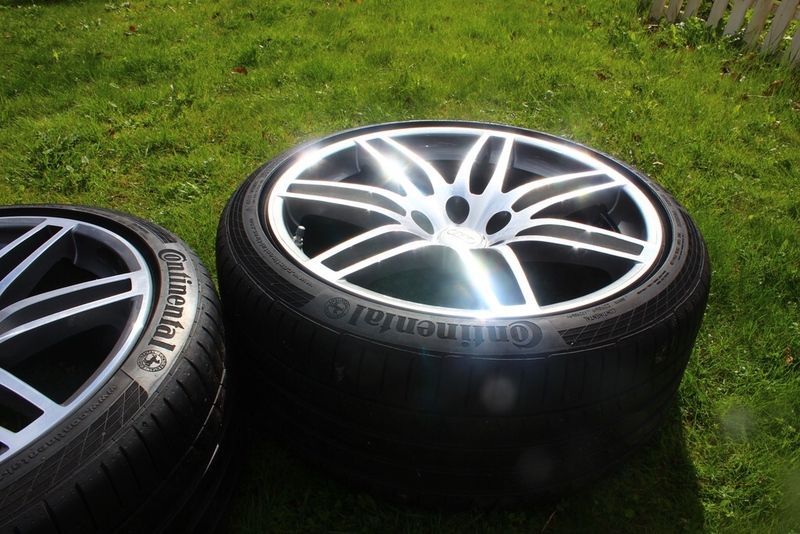 I have used them since my VW Golf I/II and Audi Coupe Quattro B2/3 days, and I have never managed to bust them, despite beating on the cars all day long, with hard launches. 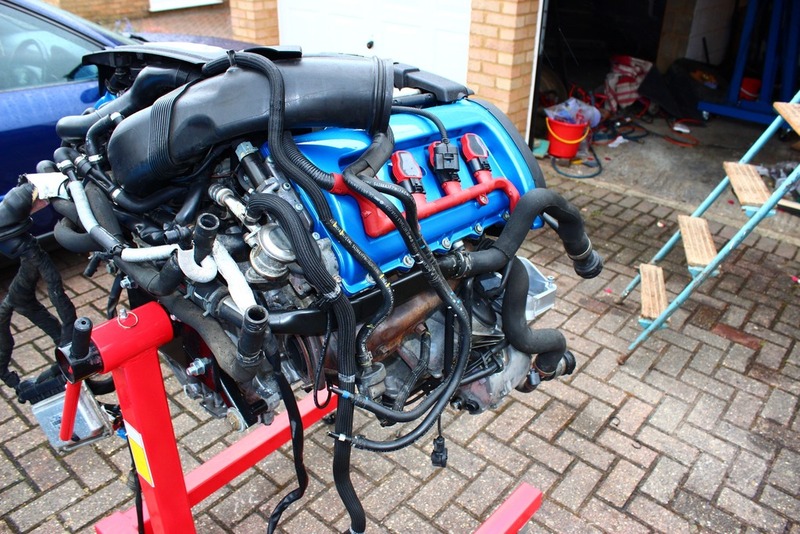 When I built my first B5 V8 back in 2008, there were no online resources to guide me, as the 077-series V8 had never been installed in the B5 chassis by a privateer. 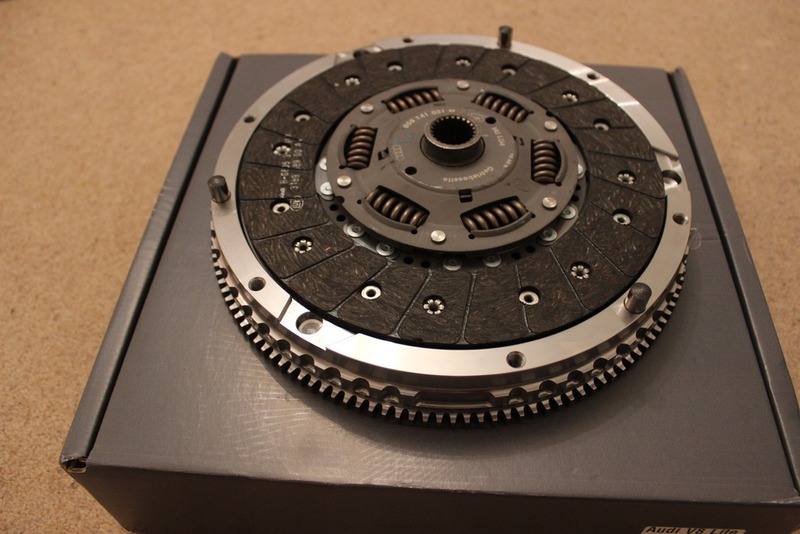 As a result, there were no flywheel options, for the 10-bolt 32V 077-series V8. I approached TTV back then, as I lived a 5 minute walk from Toby Crisp. 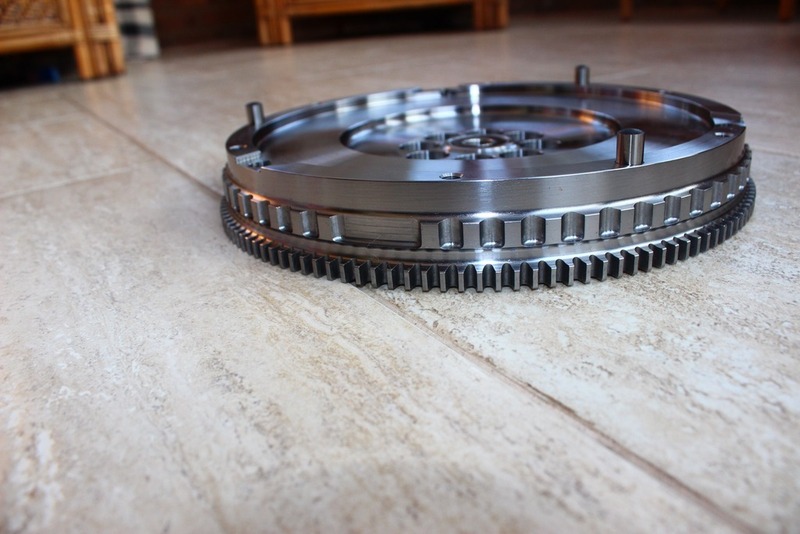 I explained what I wanted, gave him a B5 S4 8-bolt flywheel, the flexi-plate of the 32V auto, and got his firm to knock up a suitable flywheel, making it -11.2mm, which meant losing the B5 S4 spacer. 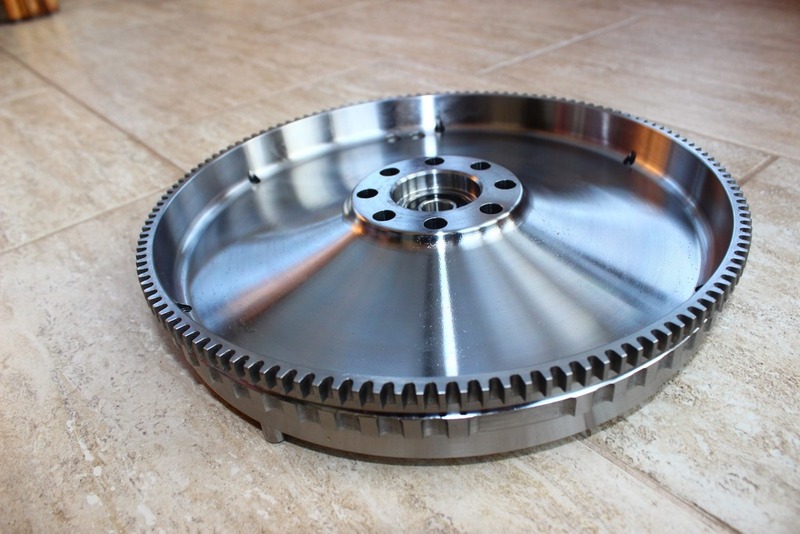 I subsequently got these flywheels made for 8 and 10-bolt applications. 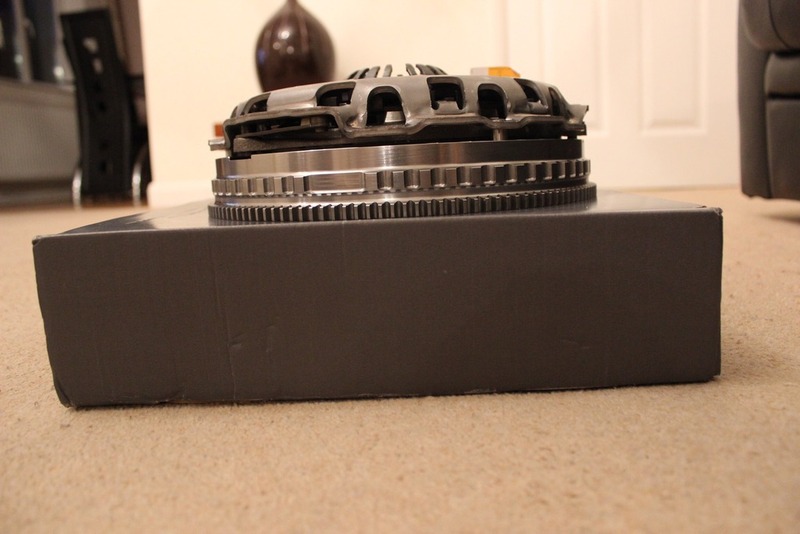 I then thought the 1.8T 228mm clutch could do with a 240mm upgrade. 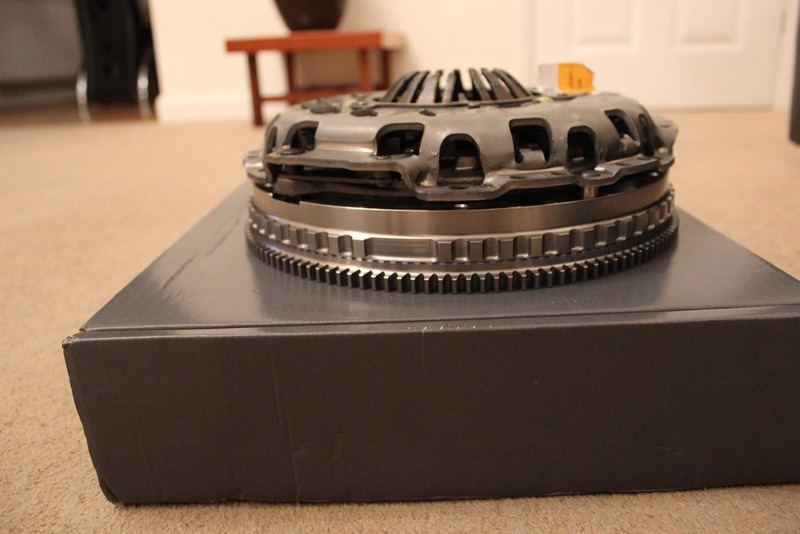 Handing over a crusty B5 1.8T flywheel, and using the existing profile of the B5 S4, the 1.8T 240mm flywheel was born. 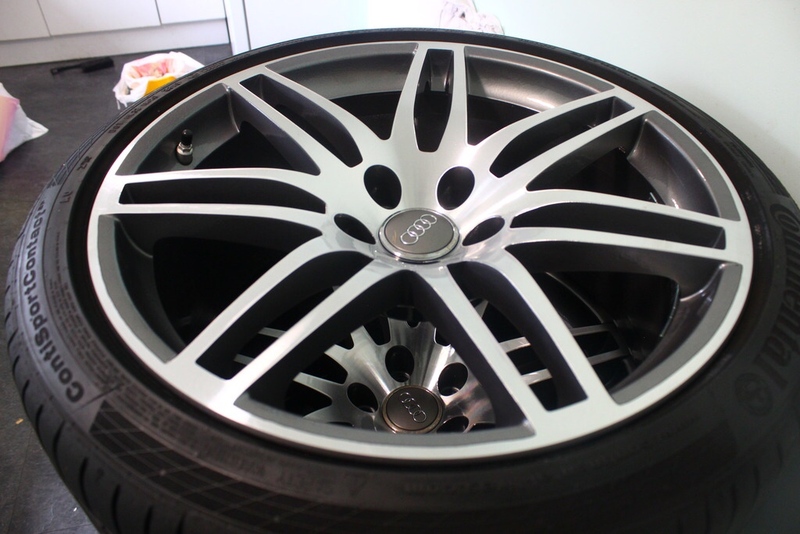 Meaning they could run a single-mass with 6-bolt fitment, and the B5 S4/RS4 clutch. Back to the present. I am running a TTV flywheel, as I always have. 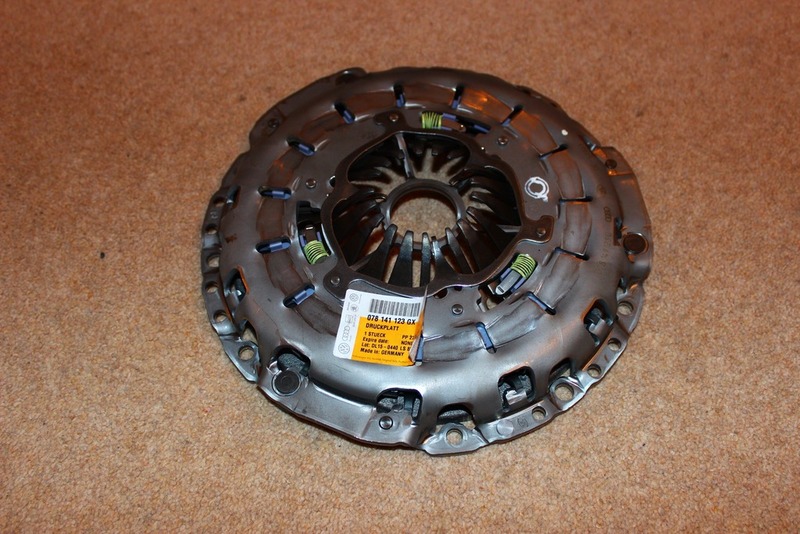 This will be mated to an uprated B5 RS4 full-face clutch. I don’t like 6/8-puck clutches. 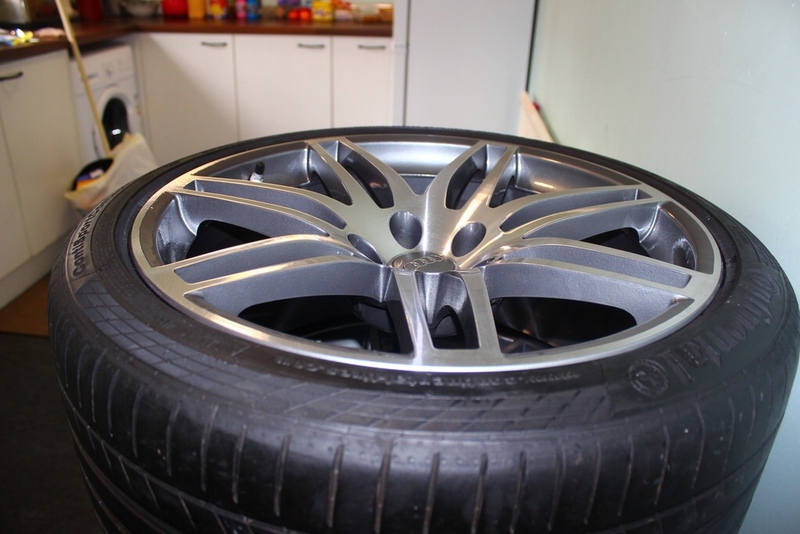 They feel nasty for daily driving, and they chew up flywheels pretty early. There are a few styling cues I wish to retain from the Seat Exeo ST. Starting at the read - I like the way the screen dips to a point on the tailgate. It gives the B7 a more modern look. 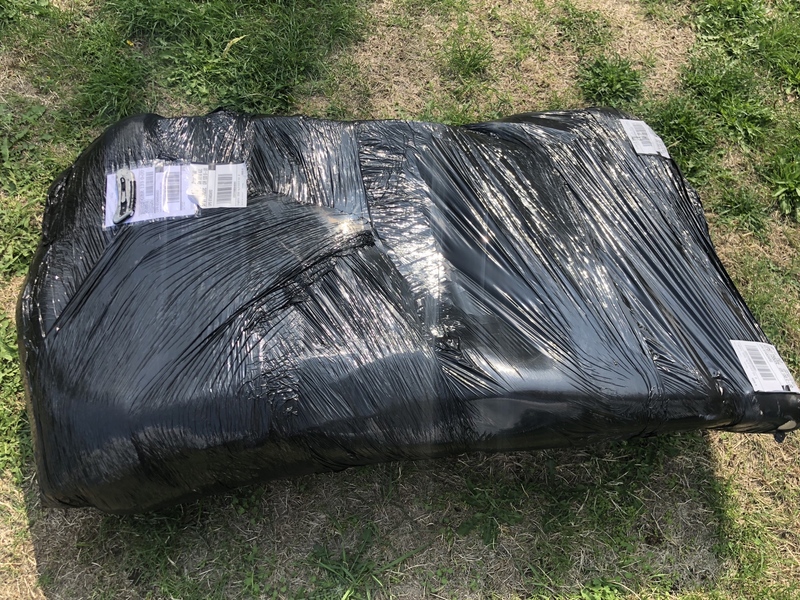 I will be cutting up a B7 A4 Avant tailgate skin, and blending it into the B7 Seat ST tailgate. One of the issues encountered by C5 RS6 owners converting their cars to manual, is coding. By this, I mean coding the ECU to have the characteristics of a manual. This allows the idle to be lower, prevents “rev hang” when clutching down for gearshifts, and generally makes drivability smooth. It also permits cruise control to function. 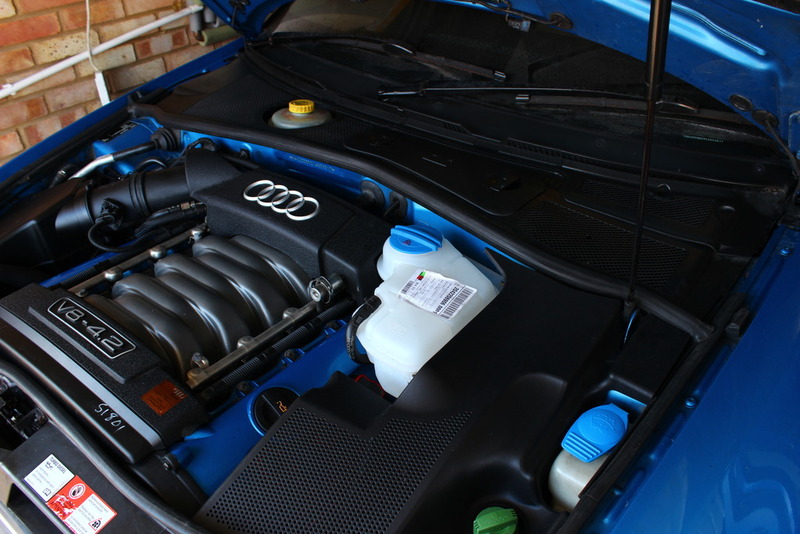 As the C5 RS6 had no manual option, the ECU has no option to be soft coded to control the engine as a manual. It will also trigger the ABS and ESP warnings, they will be non functional as a result. As the ECU will be looking for the absent TCU in the original Tiptronic car, a CEL will be triggered, putting the ECU in limp mode. I am avoiding this, by running 2 x B7 2.0T ECU’s. And a custom wiring harness, based loosely on 2 B7 2.0T items. The B7 ECU’s of course will be 100% compatible with the B7 ABS module, and more importantly, the B7 RS4 instrument cluster. It’s almost unheard of for a Seat Exeo to make big engine numbers, but that’s exactly what’s going to happen here. 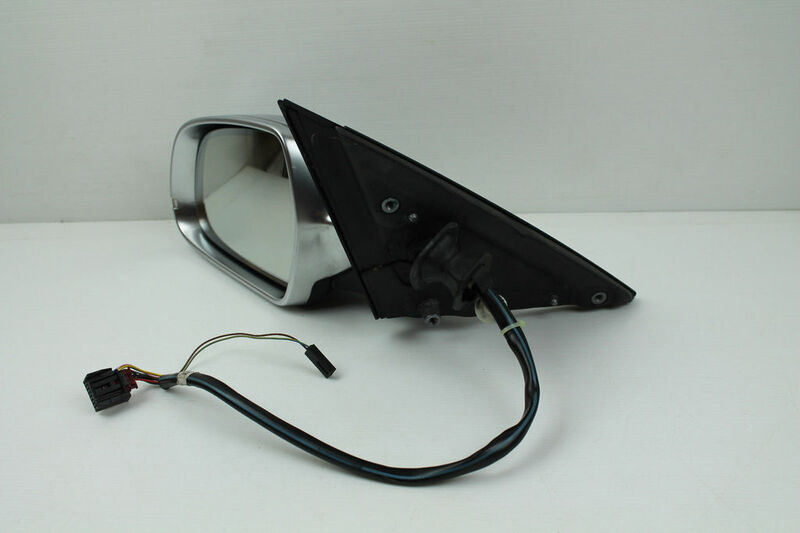 Left lamp / license plate lamp harness. 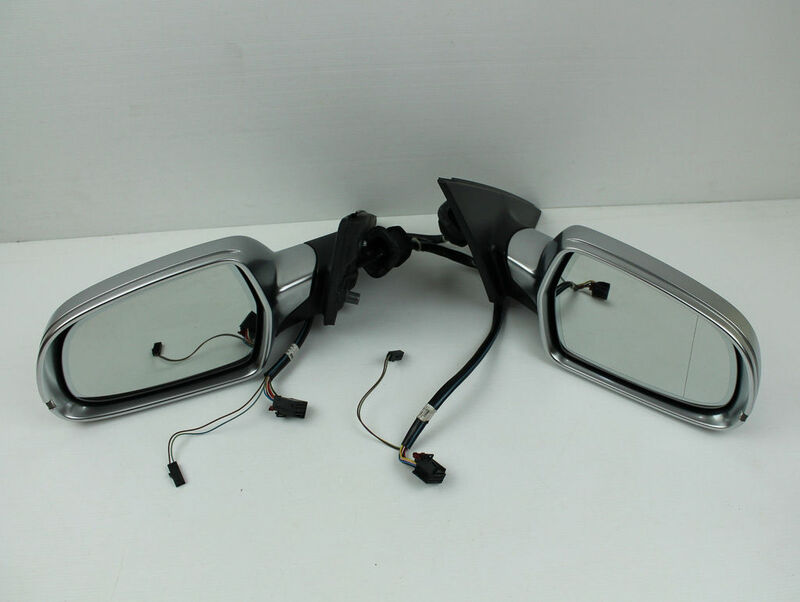 Right lamp harness / rear wash / wipe harness. It’s possible to retain all the wiring, and add the gasoline-specific wires - fuel pump relay, fuel pump etc, but I won’t this build to be OEM, with little or no splicing of wires. 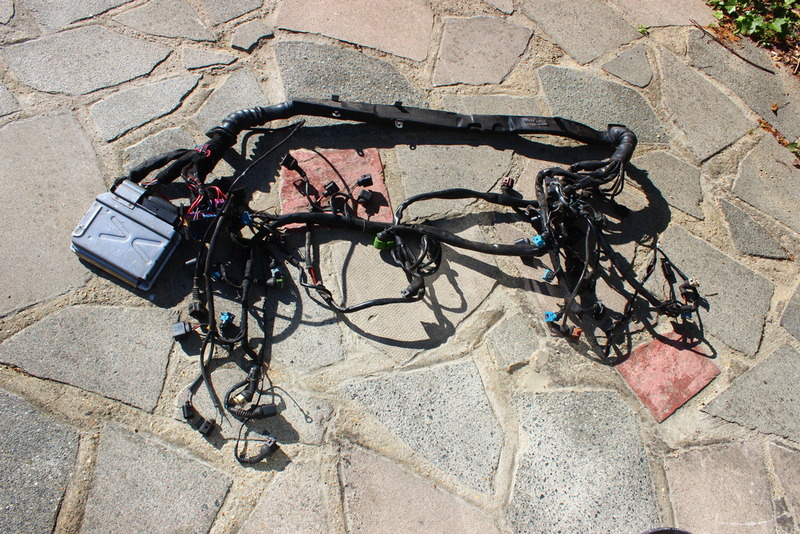 All the removed harnesses will be replaced with the wiring from a 2007 B7 2.0T gasoline. 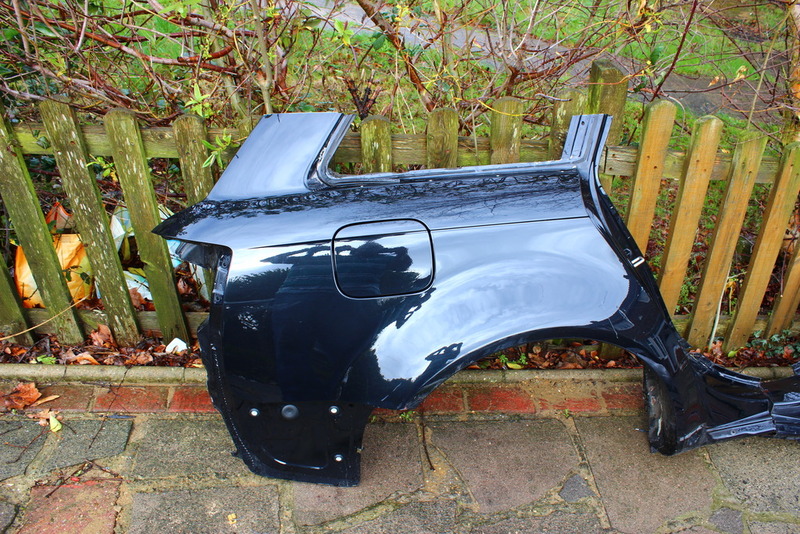 Complete B7 RS4 Avant charcoal head lining, with associated pillar, sun visors, grab handles etc. The driver’s visor has the Audi garage opener, which is great. This will be interesting, looking forward to it! What happened to the b6 you were fitting this motor in though? 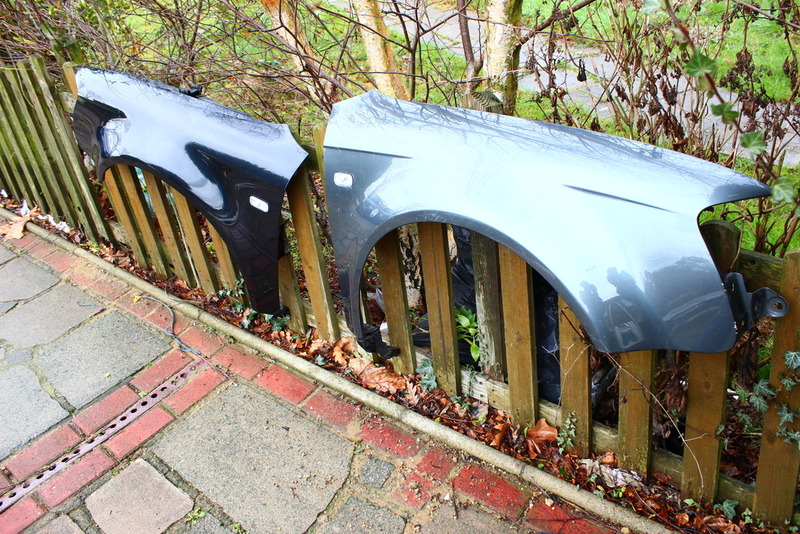 Guess your going for the Seat just for the rear end, have people converted the front of these to B7's before? 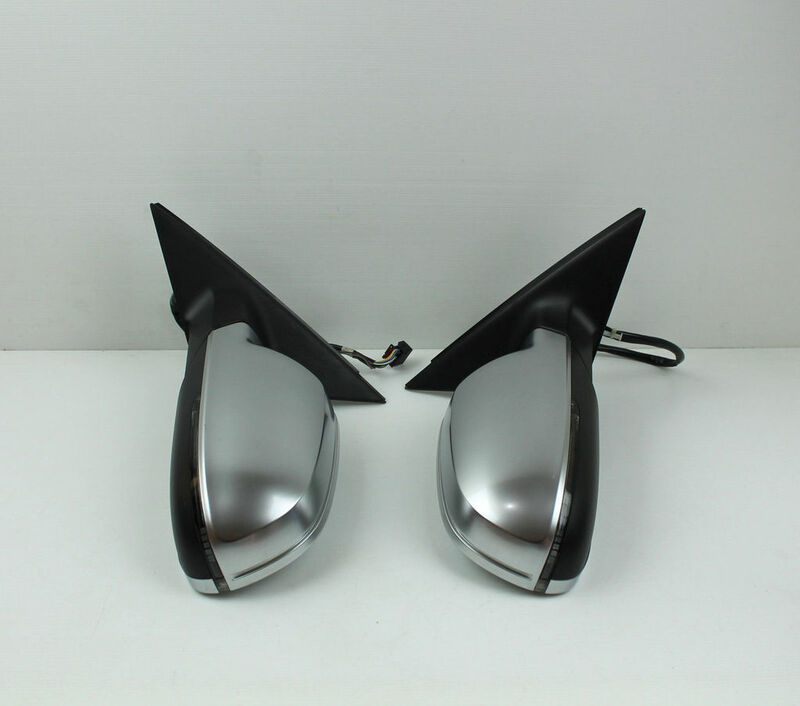 I'm interested in what the line looks like for the wings between the two as that's the real ball ache for b6 to b7 conversions (and I would know), that and the headlight wiring. 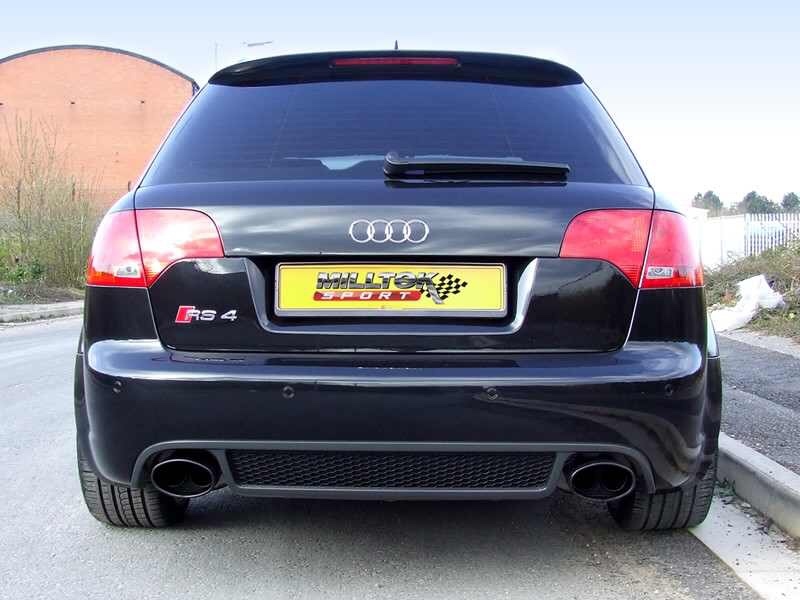 Surely using RS4 front arches you'll have to make the rear a fair bit wider to match too but I'm sure you've already thought of that headache. All the best anyway mate. looks like a very long project , personally I don't think the Seat front end suits the car , and the door mounted mirrors not as nice as either , but hey , personal choice really but I think the B7 platform is best in audi format. good luck with it chap. I'm all for individuality and people doing what they want especially if what they want doesn't exsist and has to be made, bring on the unicorn build! I think you may have missed my intentions, though. It’s all in the thread - besides the main silhouette, there won’t be any Seat Exeo left, apart from the rear screen, the tailgate sheet metal will be from the B7 Audi A4, just below the glass. I am not using the Seat door-mounted mirrors either. 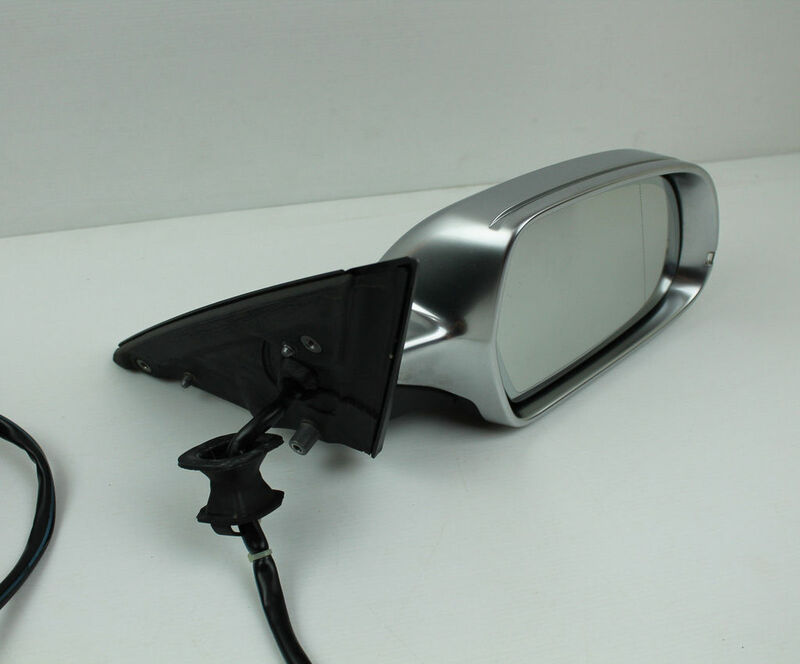 You didn’t see the B8.5 S4 mirrors? You might have missed a lot of my intentions, Jake. 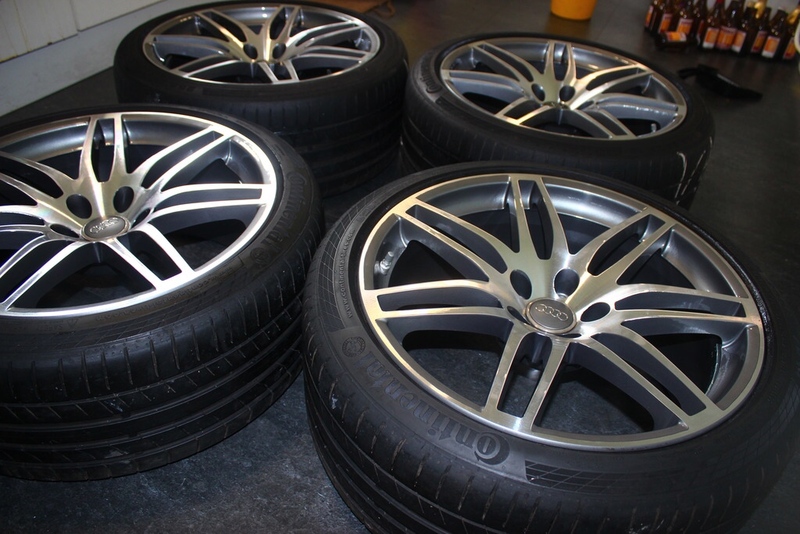 I’m going to part out the B6. I just want a newer base car, hence the Seat Exeo. It won’t be recognisable as a Seat once it’s all done though. 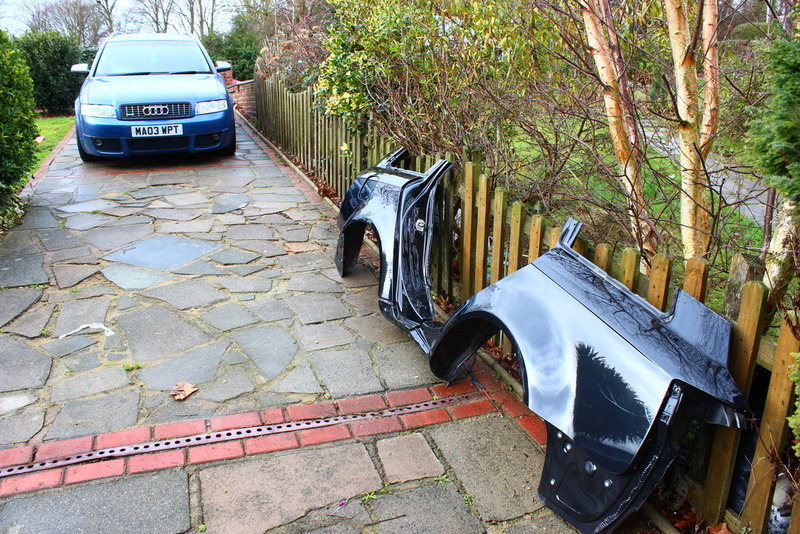 Also, I have complete RS4 rear quarters too. I kinda got lost as there was so much to take in chap..lol , a big project indeedy, i'll have another read through to get my head round things..
Read through my posts again, Rob. I think you’ve missed plenty. its been a long day chap and my brain is starting to shut down for the day.....i'll have a looky again. I know the feeling, believe me. Well chap, I've been through it again and I wish you well with the project and i'll be watching your progress. Right you are, admittedly I skimmed a bit as well. Still a little unsure on your choice of base car as surely the year shouldn't matter too much so long as it's not a rust bucket and equipment is an easier retrofit than other modifications your doing but if it's for the rear lights I suppose that makes sense but obviously that'll be allot harder to get the b7 rs4 rear quarters to fit... unless your going b7 rear lights? I know it says a merged tailgate but I'm unsure if you mean that for the lights or to match the panels up. 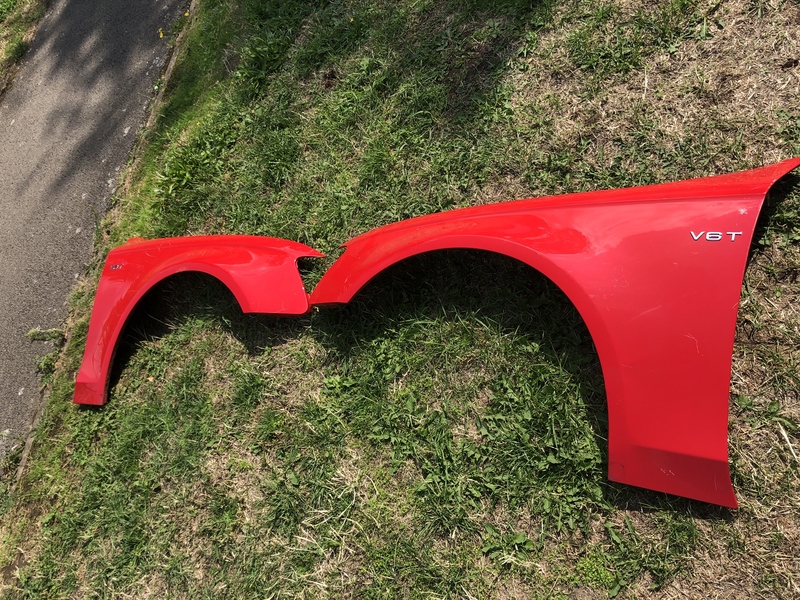 Not sure if it's any good to you but I cut out an RS4 rear diffuser a fair while back which I didn't end up fitting, drop us a pm if interested and I'll send pictures. On the tailgate, I’m basically using a Seat one, to get the rear screen that ends in a point. The lights will be B7 A4 Avant. 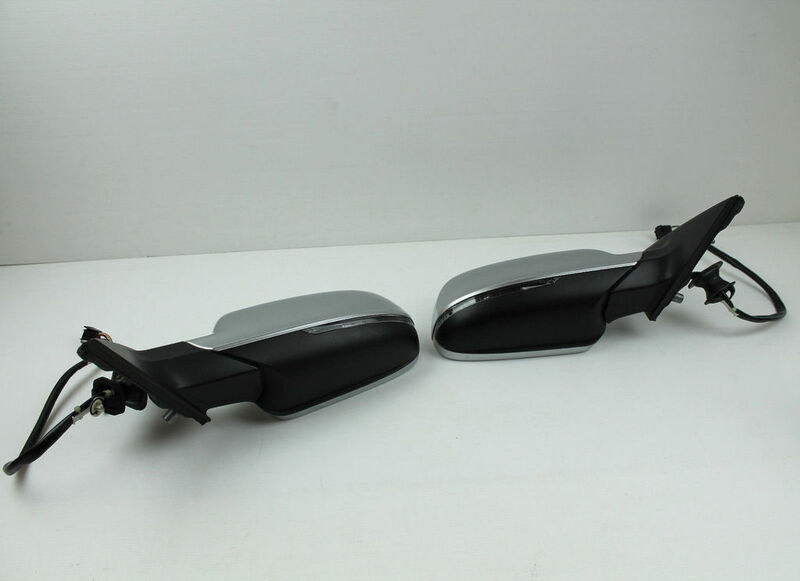 The cut in sheet metal will be below the seat screen, but above the B7 A4 Avant tail lamps. 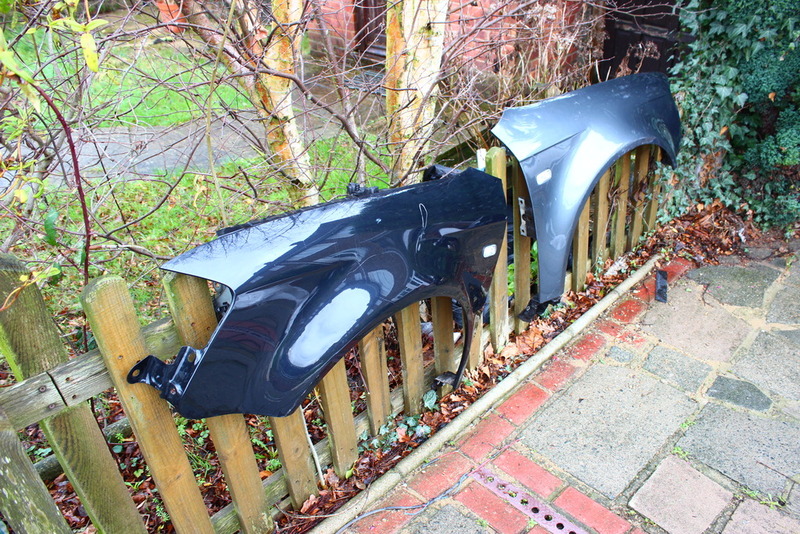 The Seat Exeo ST rear panel is an 8E part number, exactly the same as the B7 A4 Avant. To the point you can bolt on a B7 tailgate, body mounted lamps and bumper. I understand what you mean about using a good base car, but my choice to use the Seat was an easy one. Nicer dash (like B6/7 Convertible). Watching this thread with intent and admiration. Can’t wait to see the finished product! One aspect of newer Audi’s I do like, is the rear indicators with the “scrolling” operation. I built a circuit that would control LED’s in the same way, and it worked perfectly. The only issue with running this on a B6, is the short tail lamps. Arranging LED’s within the stock housing would look wrong. 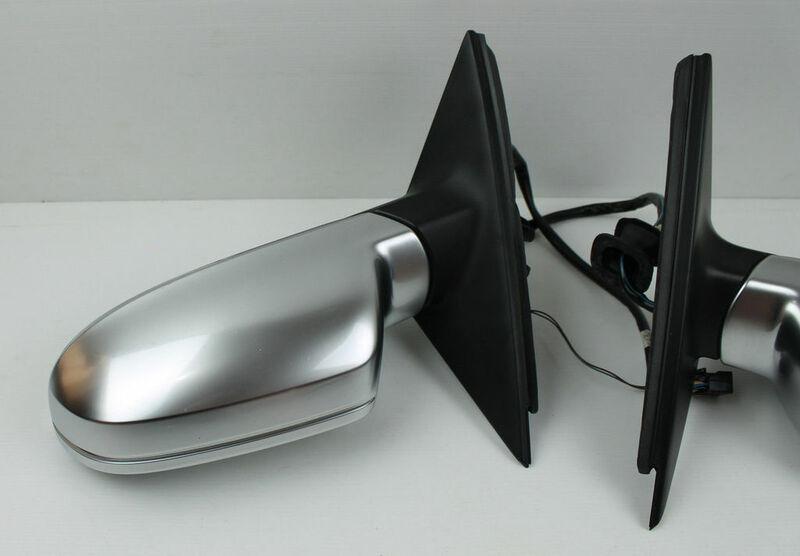 Going to the B7’s split tail lamps means I can utilise my circuits, and they would drive a line of LED’s in the same scrolling manner. One thing still confuses me a bit with your project chap , with the level of modification you are undertaking why not just get a basic B7 . 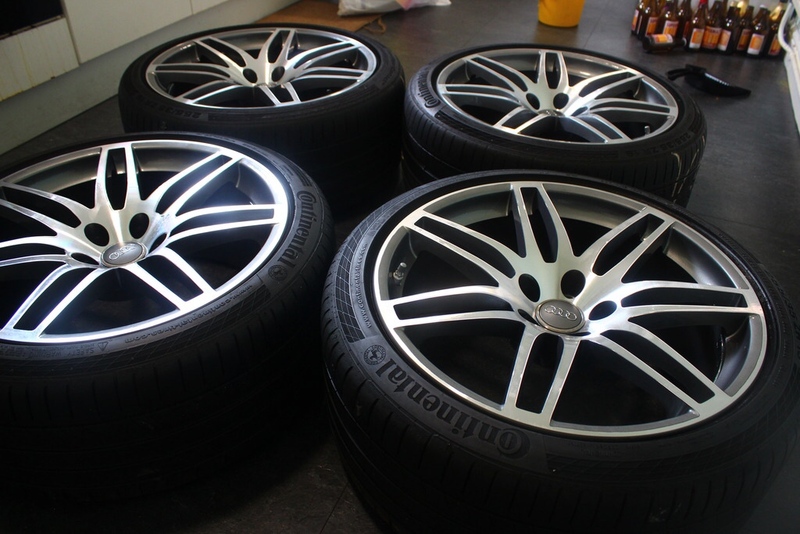 It seems like by the time you have finished all the work there will be no exeo left anyway , well not much of any base car left …..just think your going around the houses a bit unless there is a exeo specific reason you want to go that route. I understand where you’re coming from. But I’ve kind of explained my reasons, more importantly the age of the car. 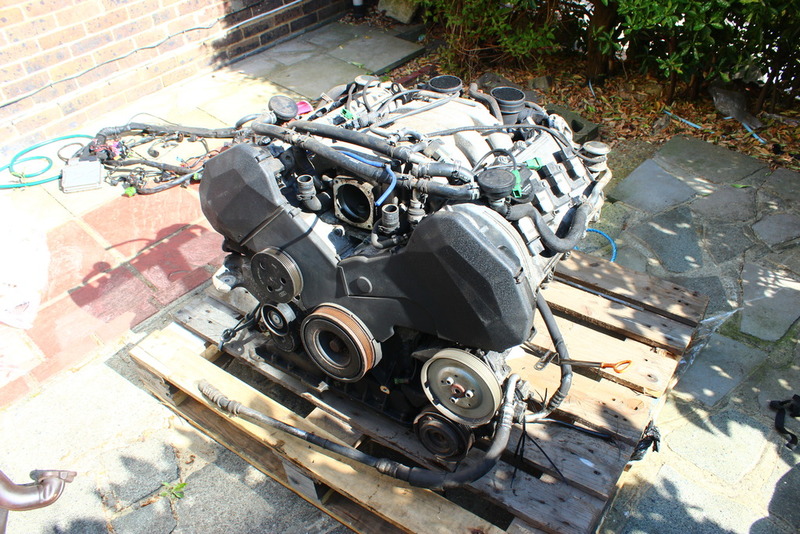 A B7 A4 Avant will be at the very least 10 years old, and cost upwards of £6500. 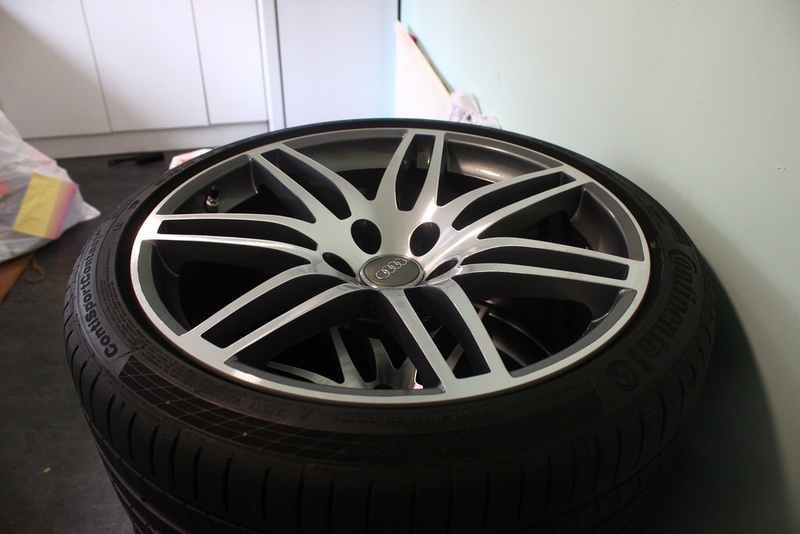 A B7 Exeo ST will be at the very least 4 years old, and cost as little as £3200. Cost aside, the Seat is still going to be much newer. It will also have the very desirable LED RNS-E, nicer Sport seats, the dash I want, in a nice two-tone color. When I look at all the pros, the reasons for me to buy a Seat Exeo ST far outweigh any reasons not to. I see your logic chap, from an age point of view its a good call as with the pricing. 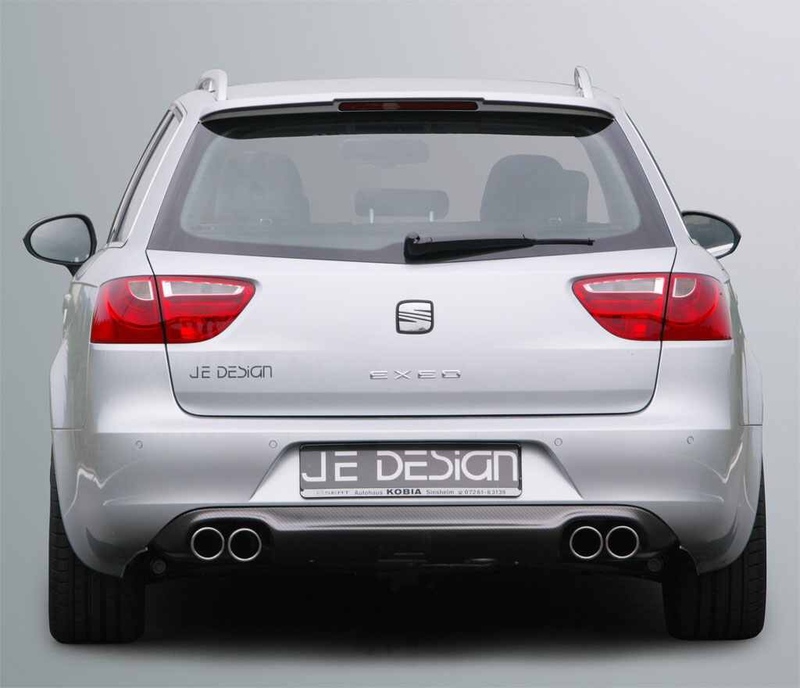 So the exeo's rear bumper is the same dimesion as the a4 then ,just a slight difference in shape at the base of the rear lamp clusters, in which case that valance will fit an A4 avant then. 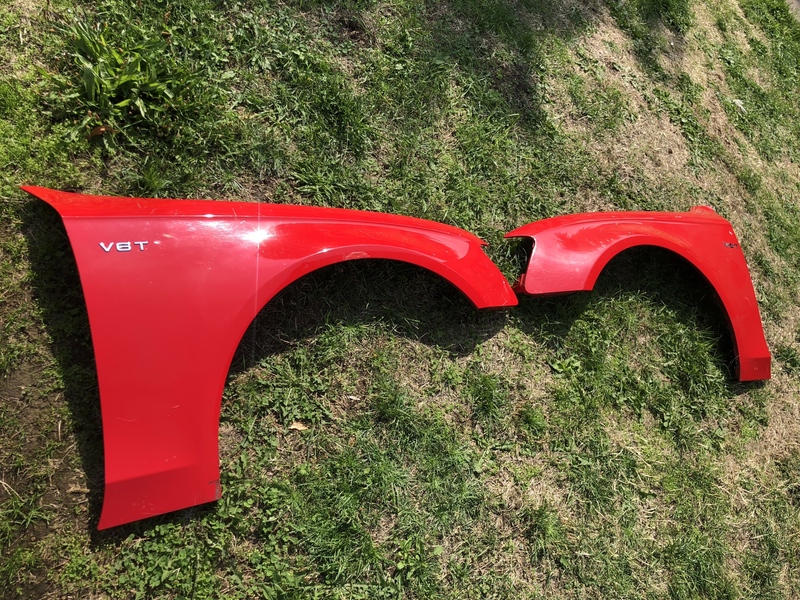 All the sheet metal behind the rear bumper carries the same part numbers as the B7 A4 Avant.